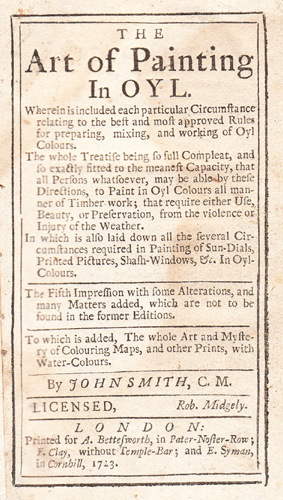 John Smith’s The Art of Painting in Oyl may perhaps lay claim to being the first house-painting manual in the English language. At least that was the conclusion that I reached after a lengthy analysis of house-painting literature some twenty years ago. The work was written by John Smith, a clock-maker and writer, who published his Horological Disquisitions concerning the Nature of Time in 1694. 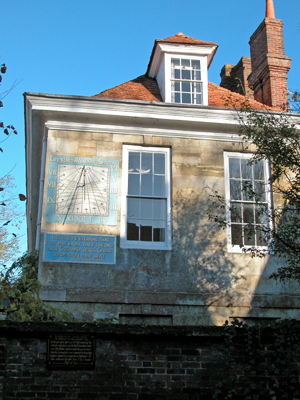 In the early editions several of the chapters focus on the painting of sundials, and it is not always clear when he is writing about the painting of these, or of exterior work generally. For this reason, I have decided to concentrate on the last edition which Smith himself is likely to have written, the 5th of 1723. “I suppose no Man will judge, that this Book is designed any ways to instruct those that are professed Painters, whose knowledge in these affairs must be supposed to outstrip these first Rudiments of this their own profession; on, the chief design of this work, is only to instruct other ingenious persons, who are desirous of some insight into the nature of working in Oyl Colours. Besides this, the Gentry that live far remote from great Cities, where Painters usually reside, may sometimes have occasion to play the good Husband, in prerving such Ornaments of their Habitations, as are most exposed to the violence of the Rain and Wet; there being less trouble in the preserving what is already made, than in making new: When a Gentleman therefore has been at the Charge of fitting his Habitation with good Doors and Gates, has fenced it about with Palisadoes, and adorned his Garden Beds with Borders, and erected Seats and Arbours to rest in, and such like; it will be easie then for some of his Servants, by the Directions here given, to be able to Colour over and Paint, these, or any other kinds of Timber Work in Oyl Colours. In effect it was an early ‘how-to’ book designed to acquaint a house-owner with the rudiments of painting so that the process was understood and could be explained and supervised. It was tempting to transcribe one of the later editions, say the 9th of 1788 or the plagiarised one of 1821, as the language is less archaic. However, for the reason given, I felt that this edition was the most relevant, although one must be aware that it wasn’t entirely up-to-date. 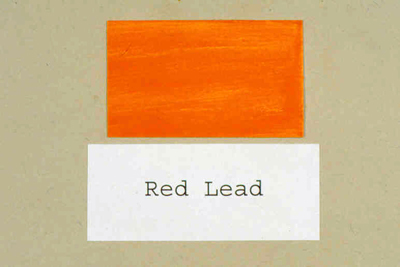 It makes no mention of the recently-introduced Prussian blue for example. Its strength is as a reflection of late seventeenth century painting practices. This first extract looks at the pigments in use by the housepainter at that time. It has been split into two posts. 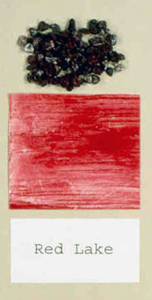 Below are the white, black, and red pigments. Part Two considers the blue, brown, green and yellow ones. “THE principal of all Whites is the White-lead; this Colour ows [sic] its original to the common Plummers Lead, of which it is made; the manner is thus: At Venice, where they make the greatest quantities, they take Sheet-lead, and having cut it into long and narrow slips, they make it up into Rouls, yet so as a small distance remains between every spiral revolution; these Rouls they put into Earthen Pots, so ordered, that the Lead may not sink down above half way or better in them; these Pots have each of them very sharp Vinegar in the bottom, so full as almost to touch the Lead; when the Vinegar and Lead are both conveyed into the Pot, ’tis cover’d up close, and so left for a certain time in which space the corrosives [sic] fumes of the Vinegar will reduce the superficies of the Lead into a white Calx, which they separate by knocking upon it with a Hammar [sic]. A more particular Description of the whole Process you may find communicated to the Royal Society, by Sir Philberto Vernatti, and Printed in the Philosophical Transactions. Of this Colour there is two sorts at the Colour Shop, the one called Ceruse, which is the most pure and clean part, the other is called by the plain Name of white Lead; they are Colours that work with very much ease, and will be ground as fine even as the Oyl it self, in comparison, if you will take time enough in the grinding; it lies very smooth, and binds very hard, on what work soever it be laid on. If you paint with it any kind of Timber work or Stone, that you would preserve from the weather, it is best to work it in Linseed Oyl, for that will bind it extream hard, if you lay it upon the work very stiff; but if you use White lead alone within Doors, ’tis then best to mix it with drying Nut Oyl, for Linseed Oyl within Doors will turn Yellow, and spoil the beauty of it; which inconvenience Walnut-Oyl made to dry prevents; for that makes it keep a constant whiteness. 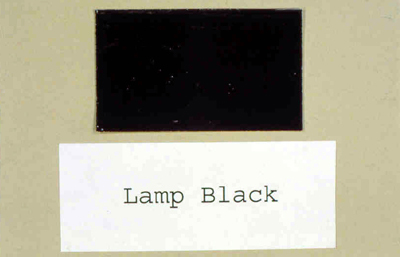 “Lamp-Black: This Colour is no other than a Soot raised from the roseny and fat parts of Fir-Trees; it comes mostly from the Northern Countrey’s, as Sweden and Norway; ’tis a Black that is more generally used than any other, because of its plenty and cheapness, and proves a very good black for most uses; ’tis of so fine a Body, that if tempered only with Linseed Oyl, it will serve to work with, on most common occasions, without grinding, but thus used, ’twill require a long time to dry, unless you mix much drying Oyl with it; or, which is better, some Veridgrease finely ground, this and the drying Oyl together will make it dry in a little time: Some add also Oyl of turpentine; and without these it will not dry in a long time; for in the substance of the Colour is contained a certain greasy fatness that is an Enemy to drying, to remedy which, burning in the fire till it be red hot and cease to smoke, will consume that fatness, and then it will dry much sooner; but when ’tis burnt it must then of necessity be ground with the Oyl, for else ’twill not work fine; for the Fire is of that nature, that it’s apt to harden most bodies that pass through it; this Colour is usually made up in small Boxes and Barrels of Deal, of several sizes, and so brought over to us. 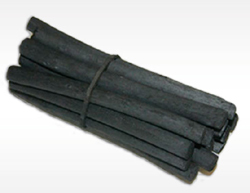 Besides, this black, there is another sort of Black, and this is the Soot of a Lamp; which I have heard very good Artists commend, as a much better Black, for any use than the Lam-black, it being of a finer Body, and brighter Colour; but I think not to be gotten in very great quantities, and therefore used only in very fine work. 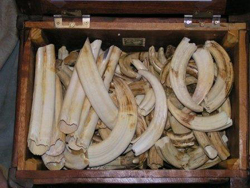 Ivory-black, is made of the Comb-maker’s Raspings, and other wast [sic] Fragments of Ivory; these are burned or charred to a black Coal in a Crucible close stopt up, this proves a very delicate Black, when ground very fine; you have it at the Shops well prepared, and levegated or ground very fine with Water on a Marble-Stone, and then dryed in small Lumps; being thus prepared, ’tis the more easily ground in Oyl, with which it will lie with as smooth a Body, as most Colours do; but ’tis something dear, and therefore not used in any common Work. 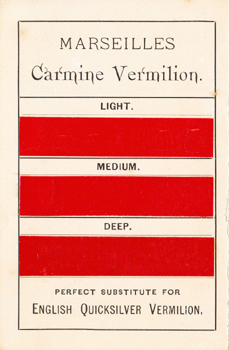 “VERMILION is the most delicate of all light reds, being, of itself, a perfect scarlet colour. 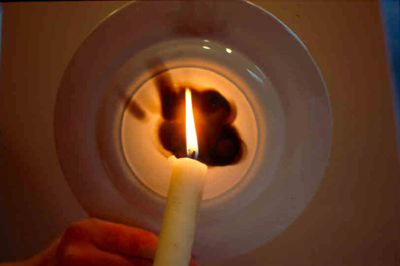 It is made artificially out of quicksilver and brimstone, in the manner following: Take six ounces of brimstone and melt it in an iron-ladle, then put two pounds of quicksilver into a shammy leather, or double linen cloth, squeeze it from thence into the melted brimstone, stirring them in the mean time with a wooden spatula till they are well united; and, when cold, beat the mass into a powder, and sublime it in a glass-vessel, with a strong fire, and it will arise into that red substance which we call artificial cinaber, or vermilion. 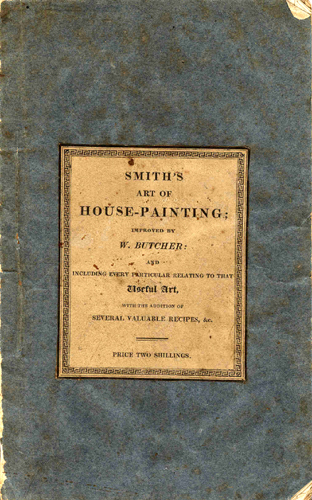 The plagiarised editions of 1821 and 1825 are too heavily based on John Smith’s original work to be of much use in understanding early nineteenth century house-painting practices. They should be read with care but are worth seeking out if you are interested in the subject. If you are still interested in learning more about the pigments featured by John Smith, see Part Two. 1 John Smith. The Art of Painting. (The Art of Painting in Oyl.) 1676. 2nd edn. 1687. 3rd edn. 1701. 4th edn. 1705. 5th edn. 1723. 1769 edn. 9th edn. 1788. (Rev. Butcher), 1821 & 1825.
a) The Builder’s Dictionary or Gentleman’s and Architect’s Companion. 1734.
b) John Barrow. Dictionarium Polygraphicum: or, the whole body of arts regularly digested. 1735.
c) T. Elliott. The Modern Painter: A Treatise on Painting, Gilding, Bronzing, Staining, Japanning, Varnishing, Polishing, Etc.. 1842. 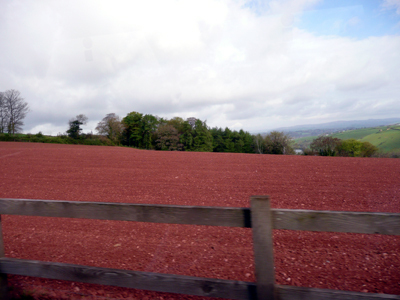 3 Some years ago when working at Monticello, in Virginia USA, I noticed that the plinth of the building had been splashed with the red-brown colour of the earth surrounding the house. Having scooped up some of this earth and brought it home, I washed and sieved it, ground it with some boiled linseed oil and painted a piece of wood. The paint covered in one coat and dried well. I suspect that Thomas Jefferson must have made use of the local earth for ‘common purposes’ e.g. painting outbuildings etc. 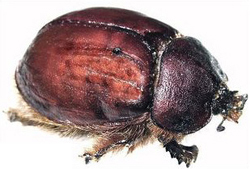 4 For other uses of cochineal see this post by my friends Two Nerdy History Girls. 5 See a film clip of a lecture on Cochineal from the Metropolitan Museum.